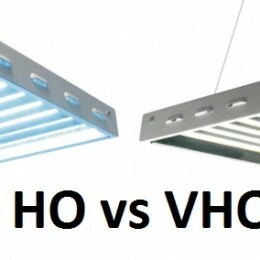 Although I have already addressed this subject in some of my previous posts, for example in Best light spectrum for my plants, where I compare many different light spectra, I feel the need to specifically touch on to the subject of 3,000 Kelvin versus 6,500 Kelvin color temperature bulbs for T5 grow lights, because these two color temperatures (the measurement that is used to show what hue of light the bulb will emit) are the two most common ones and also the two most efficient ones for their specific purposes. And they really cannot be put against one and another, because they each have different use. I will start with the bulbs that are the most common ones in the T5 lighting community as well as among T5 light sellers and distributors. And they are the 6,500 Kelvin T5 bulbs, because these type of bulbs in most cases come with T5 light fixtures as well as are the easiest to find and have the biggest selection in terms of bulb manufacturers. 6,400 Kelvin bulbs are also included in this category, as well as 6,505 Kelvin bulbs, because they give out basically the same light as 6,500 Kelvin bulbs do. These 6,500 Kelvin bulbs and those similar to them will give out light that resembles the natural light we see during the day, that’s why these bulbs are also called daylight or daylight white light bulbs. If you compare the emitted light to other warmer bulbs then these ones will give out light that is slightly blue tinted. The second T5 grow light bulbs I am going to be talking about are the 3,000 Kelvin bulbs. On the market you can also find bulbs with color temperatures of 2,700 Kelvins and 2,900 Kelvins that are again essentially the same as 3,000 K bulbs in terms of the light they emit. This light that 3,000 Kelvin T5 bulbs emits is significantly lower in Kelvins count as previously mentioned 6,500 K bulbs, but that also is the reason these bulbs are significantly warmer in their tone. The light is similar to light that we can see during a sunset hours rather than during the day as it was in 6,500 Kelvin bulb case, so it has warm, reddish orange tinge to it. 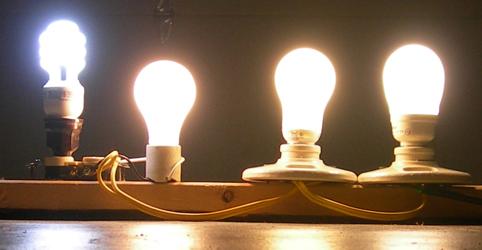 That is also the reason 3,000 Kelvin bulbs are of the called warm white or bright white T5 bulbs. 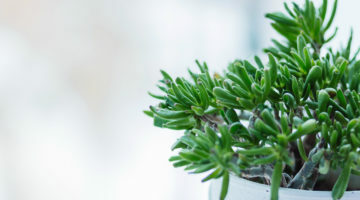 And this warmer light more frequently is like a signal to any plant that they should stop putting all their energy into growing and start producing buds and flowering, which later will result into flowers or yield, because warmer light promotes higher rates of photosynthesis which translates as flowering stages of plants growth. To summarize, 6,500 Kelvin bulbs are the perfect bulbs for plants that are growing and vegetating, but once they go into their flowering stages, to get a bigger yield you need to switch to 3,000 Kelvin bulbs that have the ideal light for flowering plants. I’m building my own grow light setup. I was planning to use both 3000k and 6500 k CFL bulbs. After reading this article I’m having my doubts and maybe should just go with one or the other? Comments, please! It really depends on what you will be growing. 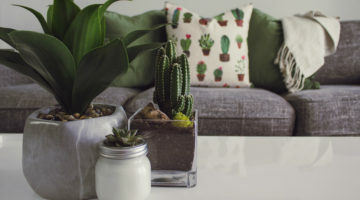 But in general I always advise people to use one color temperature bulbs and the switch to the other ones once your plants start flowering. Great Article. Sounds like you know your stuff. 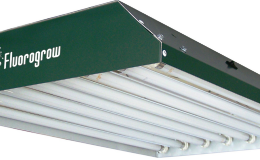 I was considering investing in led grow lights for tomatoes but there are so many contradicting advice on the internet as to what kind of led grow light is best. Pretty sure all of the advice out there has some kind of affiliation to a manufacturer of some sort. So I will invest more in the T5 lighting for my vertical aerophonic garden. 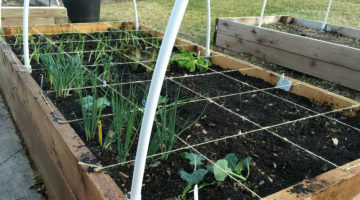 The 6500 K bulbs do really well for seedlings and vegetative growth but now I am in the flowering stage and I found a real good deal on 4 tube fixtures with 4100K bulbs. 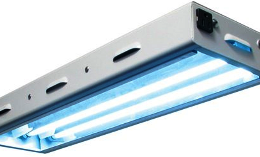 Its not the 3000K you recommend but at 100.00 a fixture (4ft x 4 bulbs), I will give it a try. Purchased 5 of them. I will sure to let you know how it works out. 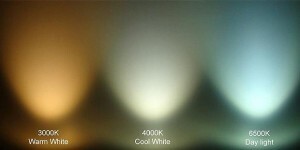 i just confuse about how can we manipulate the number of bulb to increase color temperature (kelvin). if i have 1 room with 1 bulb with 6500 kelvin for 1 bulb, then i add on another same 3 bulb in this room. is it i can have total up 26000 kelvin for my room? 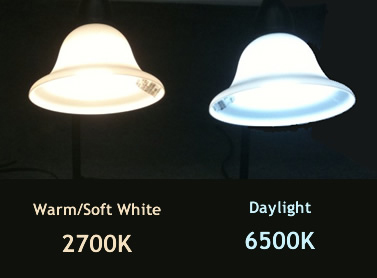 To change the color temperature you will just have to get bulbs that are of different color temperature because even if you combine 4 of the same color temperature bulbs (6,500 Kelvin bulbs), they will still emit 6,500 Kelvins. If you want bulbs that are warmer-toned and emit more yellow light, go for bulbs that have the color temperature of 3,000 Kelvins. But for light that is bluish and cool-toned then go for bulbs that are around 10,000 Kelvins. If you are talking about the intensity of the emitted light (lumens), that’s a different story. The intensity will increase (your room will be better lit, brighter) if you add more of the same lights to the space.